THE B-MOVIE NEWS VAULT: On January 2nd, Escape from the CANNIBAL FARM! 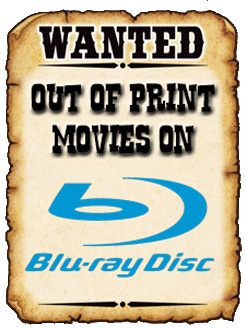 "CANNIBAL FARM" COMING TO VIDEO ON DEMAND FROM HIGH OCTANE PICTURES ON JANUARY 2ND! 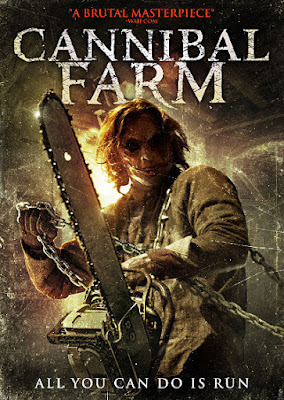 CANNIBAL FARM (aka ESCAPE FROM CANNIBAL FARM) is the UK's answer to THE TEXAS CHAINSAW MASSACRE. And while Hollywood struggles to figure out how to make Leatherface work for modern audiences, I think this flick's chainsaw-wielding maniac might hit a little closer to the mark. Synopsis: This January, fight to survive or get eaten alive! From filmmaker Charlie Steeds (DEADMAN APOCALYPSE) and starring Kate Marie Davies, Barrington De La Roche, David Lenik, Rowena Bentley, Toby Wynn-Davies, and Peter Cosgrove, a terrifying, bloody blend of THE TEXAS CHAINSAW MASSACRE, FRIDAY THE 13TH, and two gallons of two-stroke! Scope out the stills and trailer below for a closer look at CANNIBAL FARM! Click on the images to enlarge!